Gautam Buddha Nagar is an industrial city of UP, India. It’s a big pivot center of education and studies. Gautam Buddha University is one of the famous and popular universities of the city. The city provides a great education to the students in various streams such as medical colleges, engineering colleges, arts, commerce etc. To understand the need and demand of technical education Govt. opened 4 Govt. ITI’s and 30 Private ITI’s in the city. 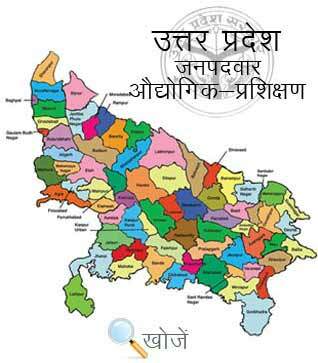 Vyavasayik Pareeksha Parishad (www.vppup.in)Uttar Pradesh is responsible for conducting the entrance examination for admission to various trades in ITI’s. ITI’s or Industrial Training Institutes provides training to the students both technical and non-technical trades. They offered over 130 trade courses to the students so that they get employment as soon as possible after completing them. They are of duration of 6 months, 1 year and 2 years. Matriculation is basic qualification and age up to 14 years. Students can choose among the variety of courses such as Marine Engine Fitter, Electronic Mechanic, Operator Advanced Machine Tools, Wireman, Counseling Skills, Insurance Agent, Computer Operator and Programming Assistant, Marketing Executive, Photographer, Business Management, Drawing/ Mathematics etc. Students can also visit website www.upiti.in as well. It is a comprehensive database of information to the students regarding admission, important notifications, results, online downloading application forms etc. to save their valuable time.